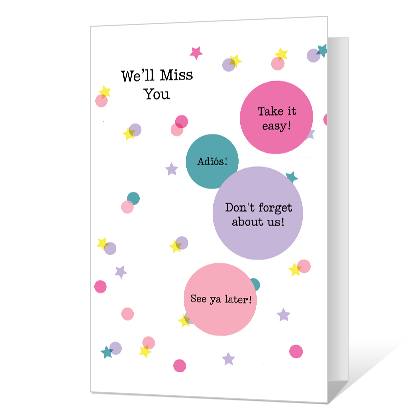 Cover Verse: We'll Miss You Take it easy Adios! Don't forget about us! See ya later!